SMART Board Revolution Ning- All SMART Board educators, unite! Let's share ideas, tips, and lesson files and collaborate to maximize our students' learning. Also has videos, forums, and more. SMART lessons from Scholastic- Lessons from Math and Science, Earth Day, Famous People, Phonics and more. Search for lessons with GOOGLE SMART search- Use this link to search for lessons with Google. 42 Interesting Ways (and tips) To Use Your Interactive Smart Board - GREAT Ideas here! 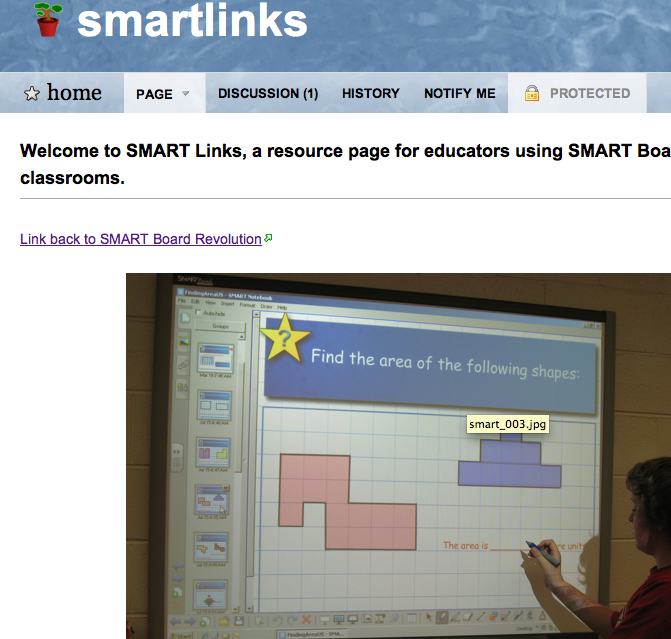 SMART Links- Welcome to SMART Links, a resource page for educators using SMART Boards in their classrooms. More lesson activities and resources from SMART. 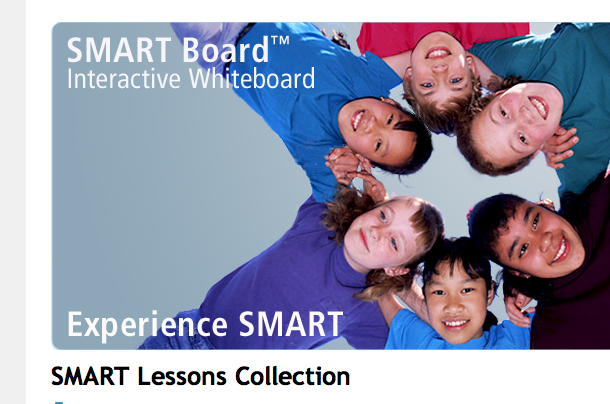 Smart Board lessons and video instructions- Great Resource!, Including Everyday Math Lessons!!! 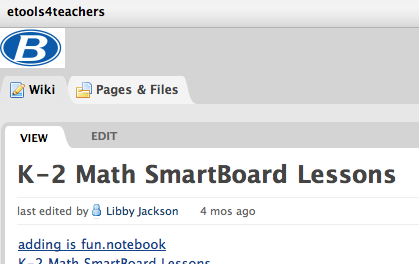 Shared Resources - Upload Your District 39 SMART Board Lessons to Share!